THRILLS X Dan Elborne — . 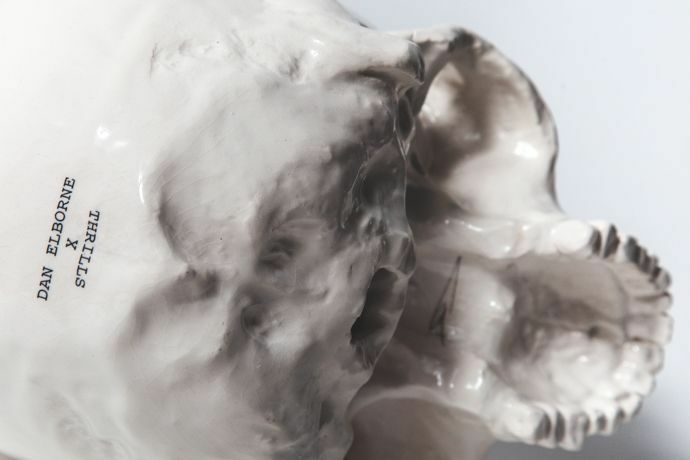 THRILLS X Dan Elborne, 2014. 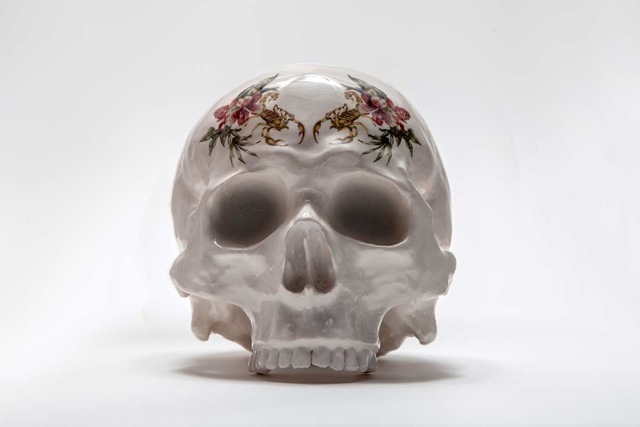 Skulls – Human Condition: Series 2, Slip cast porcelain, glazed and decorated with THRILLS decals. 13.5 x 17.5 x 13.3cm. 2014. Bullets – Last Five, Slip cast porcelain, glazed and decorated with THRILLS decals. 5 x .303 bullets. 2014. For this series, i’ve teamed up with THRILLS (Byron Bay, Australia) in a collaboration using their floral designs on my slip-cast objects. This project consisted of 4 skulls (Human Condition: Series 2), and five sets of five .303 bullets, housed in stripper clips (Last Five). Great team and a great brand.